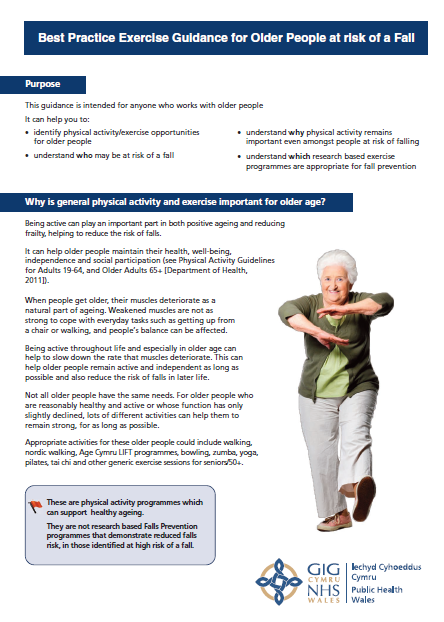 How do PSIs and OEPs fit into falls services for older people? A best practice document produced by Public Health Wales gives a clear breakdown of the competencies of instructors working with older fallers in Wales, including the role of the PSI and OEP leader. Download here to read their guidance. 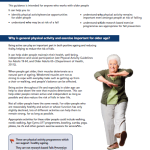 This was followed up in 2007 by a series of resources for health care implementers – visit the WHO website on falls prevention or download their Global Strategy.